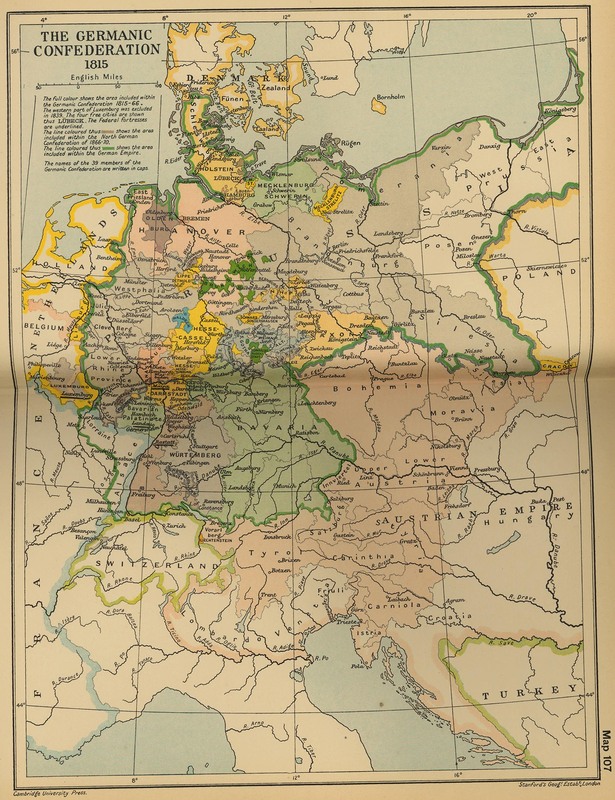 The full color shows the area included within the Germanic Confederation 1815-1866. The western part of Luxemburg was excluded in 1839. The line colored brown shows the area included within the North German Confederation of 1866-1870. The line colored green shows the area included within the German Empire. The names of the 39 members of the Germanic Confederation are written in caps.